There are few product launches that get me excited. New phones? Whatever. Blah-blah for Target? Blah. But new a new beauty product launch? I’m listening. 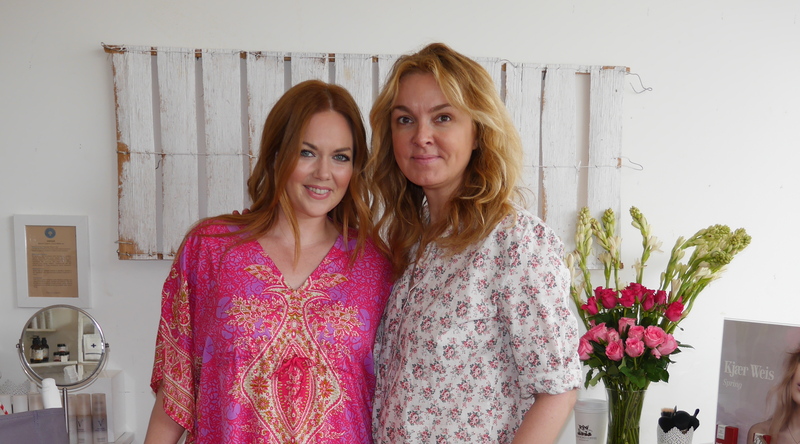 And listen I did (or tried to, I am a chatter box) on the day I got to meet and talk with Kirsten Kjaer Weis, the brains (and beauty) behind Kjaer Weis. Yep, how cool is that?! I got to meet this awesome woman in Real Life. 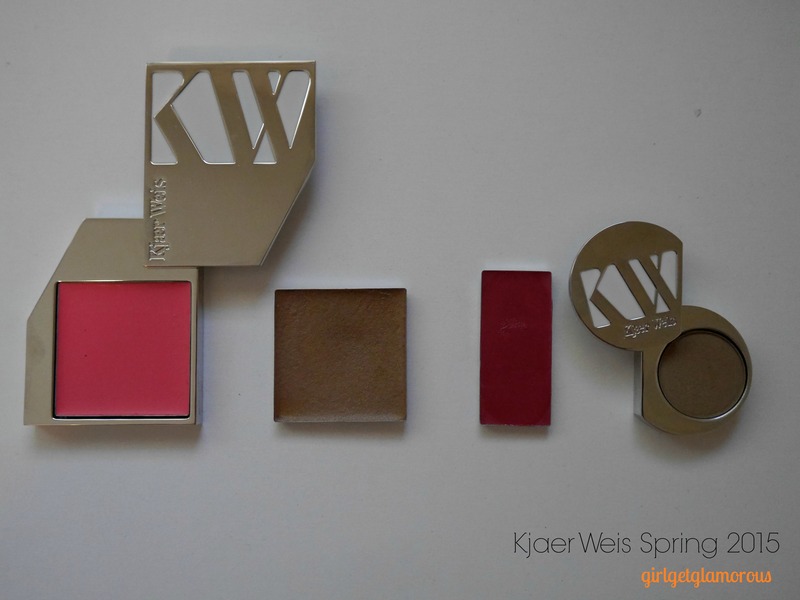 Kjaer Weis is the first organic makeup line that competes with high end cosmetic companies. All the products are made from the best ingredients possible. Also, fun fact I learned from Kirsten, certain minerals that are really good for you skin and used to add color to the products, can’t be labeled as organic because of the nature of the product. Meaning, because they come from the earth and aren’t farm planted and created, they can’t be called organic, even though they are all natural. Interesting, right? 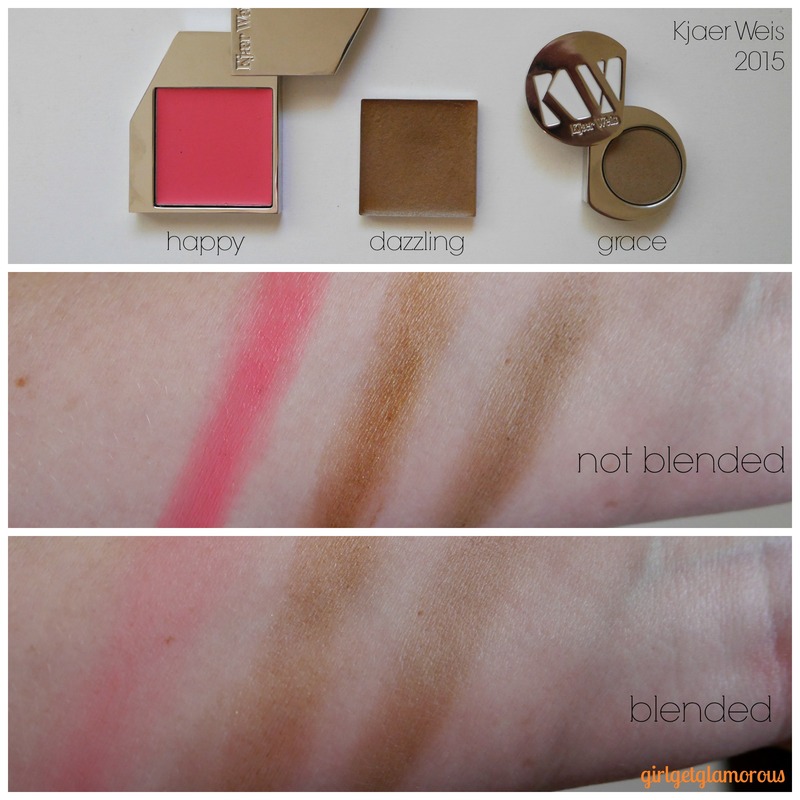 Here is a full list of ingredients from the Kjaer Weis website. I am getting ahead of myself. Let’s get back to that meeting. Kirsten and her awesome PR team flew from NYC to L.A. for a meet and great to debut the new spring products and shades at the Detox Market in Los Angeles. Yes, they flew all the way across the country to talk about makeup. These are my kind of people. I came with a million question for Kirsten and she graciously answered all of them. What I knew already from researching before the interview was that Kirsten spent eight years developing the line as she was also working as a top makeup artist. She said that working as an artist allowed her to keep perfecting the line, instead of feeling the financial pressure to just get the line out. I don’t want to get to the reviews just yet, but I will just say that it’s evident that each product was worked and reworked to perfection and not rushed out. Every product = A+. Here is a great background piece on Kirsten. I asked if the intentions of the line changed over the course of 8 years. As in, was the line always intended to be high-end or was it ever going to be a mass market line? Kirsten said the most important thing for her was that women came first, meaning each product had to perform and couldn’t disappoint. So price wasn’t really at the forefront, she focused on creating products that do what they are supposed to and that really last a whole day. I was also curious as to how Kirsten kept her enthusiasm up over the course of 8 years. I mean, that’s a ton of time spent working and reworking a product. Not to mention, a very expensive endeavor when it comes to working out cosmetic formulas. I loved Kirsten’s response of “I couldn’t not do it.” Her advice for entrepreneurs was just that. Work on what you are passionate about and you will have to keep working on it. That passion is so apparent when talking with Kirsten about her makeup line. Look how geeked out excited I am. It was so cool hearing Kirsten talk about discovering ingredients and she has an encyclopedic level of knowledge on all-natural and organic ingredients. Bamboo is one of the eyeshadow ingredients. Bamboo. Genius. And the shadow is silky as all heck. The bamboo works to make the shadow silky and gives it staying power. One thing that Kirsten mentioned that really stood out to me, is that all of the cosmetic ingredients are also used as skincare ingredients in a lot of lines. So you are actually keeping your skin in good condition and improving it by wearing the makeup. This is a really nice added bonus. I noticed this especially with the lip tints, my lips were so hydrated and plump hours after applying them. The products all have a shelf life of 30 months before being opened and 1 full year after being opened and used. Except for mascara, which should always be changed every 3 months, organic or not. This was eye opening to me. We really don’t need synthetic ingredients to preserve beauty products. Another note, none of the products have any scent or “crunchy” smell/taste that a lot of organic products have. This is HUGE. There have been organic products that I loved, that I honestly just couldn’t stand to put on my face and smell all day long anymore. Eventually the smell would just start to make me ill. 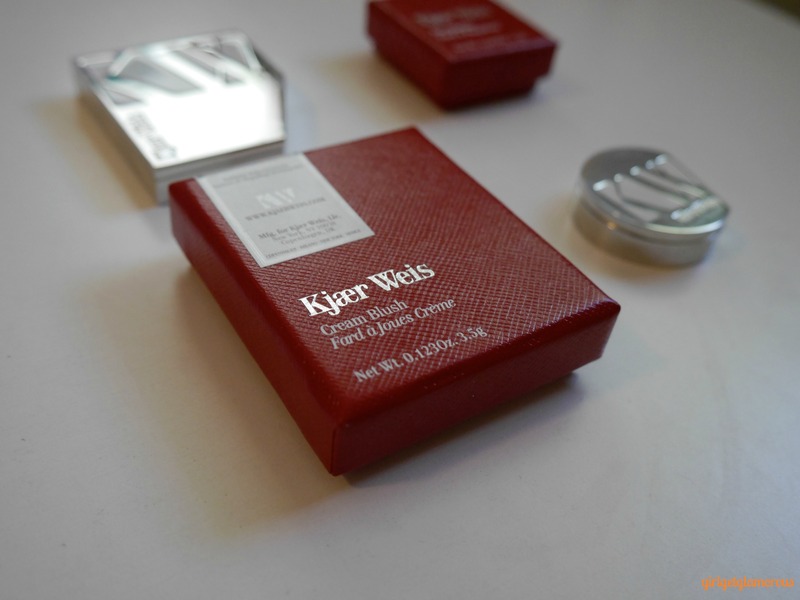 The Kjaer Weis face products are all scent/tasteless. The lip tints have a slight scent/taste that is awesome and makes me want more of it. I can’t pinpoint it but it is nice. 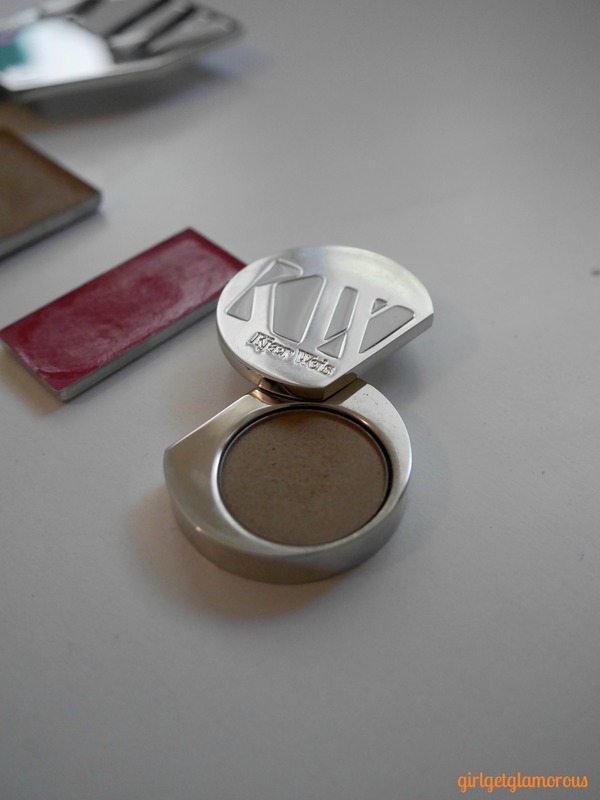 Kirsten also said she wanted to take the crunchiness out of organic makeup packaging, so she came up with these sleek silver compacts that are embossed with a KW on the lid. They open and close with an oddly satisfying snap. This packaging makes me feel like an organic James Bond. As if at any moment, I could appear out of thin air at your office, just as you throw a plastic bottle into the trash bin and say “Darling, sure you don’t want to recycle that?” Opening and closing these rad metal compacts is as close as I shall get to being Bond. The compacts are made of a well-built, sturdy metal. They are made to last years and years and years. You open the compact by gently pushing near the “K” or “W” and the top swivels open. The refill products come in paper packages that are also recyclable. You pop the old product out of the silver compact and put the new one in. Even the mascara can be refilled! Then recycle (re: See James Bond above) the paper refill package and the used product tin that you popped out and you have a totally refilled compact. I think this is absolutely genius. I wish all companies offered a refill system like this, it cuts down on SO much waste. The packages look gorgeous on a vanity, the sleekness is real, ya’ll. Also, the original compacts (not refills) come in a small red box that looks and feels like a jewelry box. Opening one is such an experience. I don’t even care how crazy that makes me sound, because that’s truly how it feels. The experience is exquisite, and that’s the first time in my adult life that I’ve used that word as an adjective. That being said, I think this would be beautiful makeup to give as a gift, because it is so stunning all around. This makeup collection started out five years ago as a curated set of the top 12 shades Kirsten used on her shoots. I like the simplicity of this. The line has now grown to 38 shades and each one still feels like it has a “purpose.” No crazy shades just for the sake of having something else to sell. The spring collection debuts an awesome new cream bronzer and a new shade of blush and eyeshadow. There is also a new range of lip tints exclusively for Net-A-Porter. The Net-A-Porter lip colors are out now and the spring products launch June 10th. The bronzer and blush retail for $56 with the compact, $32 for the refill. The eyeshadow retails for $45 with the compact, $27 for the refill. The lip tints retail for $49 with the compact and $29 for the refill. All the products can also go in a Z-Palette, if you are wanting to condense products for space/weight or save money by getting the Z-Palette container, $20, and purchasing just the refills and not the silver compacts. I love the silver compacts and the weight in your hand when using them at home, but I can see if you travel with your makeup, they’d get pretty heavy. I’d definitely go the Z-Palette route for traveling or if you like to keep your makeup in your purse. I swatched the cream bronzer at the meeting and Holy Heck it is gorgeous. Gorgeous. I’m also happy to report that after using it for a week, it really holds up and gives a perfect bronzed tint, no orange or too heavy brown tones. It gives you a slight tan, while still looking in real life and photos just like real skin. Absolute perfection. The “Happy” neon pink shade of blush is Tre Chic. It’s beautiful and bright and fun. It can seem a bit scary in the package if you tend to go for more neutral shades, but it blends out so beautifully, see the pics below. I think it brightens up the whole face with just the teeniest amount of product. I’m excited to use this on blonde clients and on clients with medium/deep skin tones. I think it’s gorgeous! Grace has to be one of my all-time favorite makeup shades. I know I just started using it, but it’s the first product I swatched at the Kjaer Weis event and I instantly fell in love. I’ve actually been using it as my contour powder in addition to using it as eyeshadow. It’s the perfect light taupe contour shade. It buffs out perfectly and lasts all day. You know when you see a magazine spread and the models have that perfectly blended eyeshadow and you think How? Just how?? It’s this. I swear. This shadow blends out perfectly and the color has just the right amount pigment to add depth but not overwhelm the face. I’m so impressed with it. It also blends out perfectly as a contour powder on my fair skin. Rapture is a gorgeous raspberry shade. It’s the same depth as my natural lip shade, with a raspberry finish, which is perfect for me as a redhead. 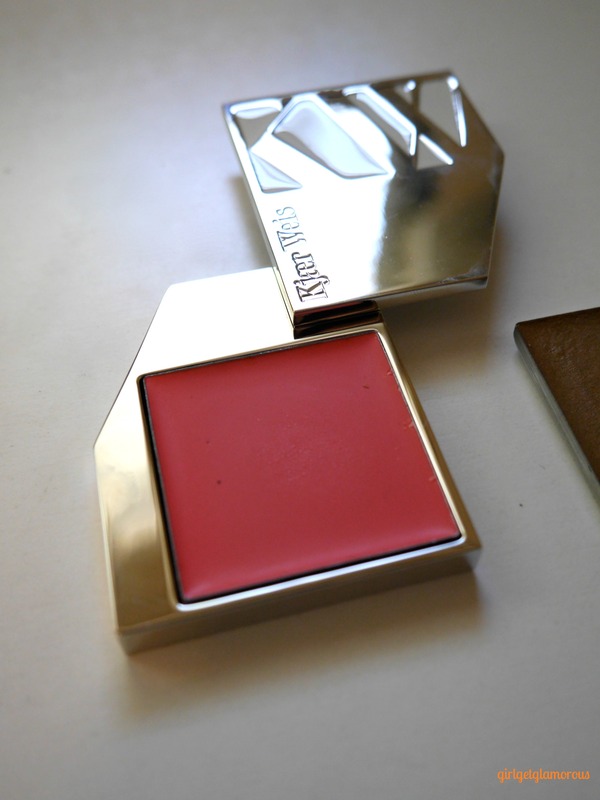 I’ve used it on my cheeks as well, and it’s just as stunning worn as blush. It also plumps my lips naturally and hydrates them. Hello. One of the next products to come out will be lipstick in a bullet tube, that will also be refillable. Yes, All the Yes. 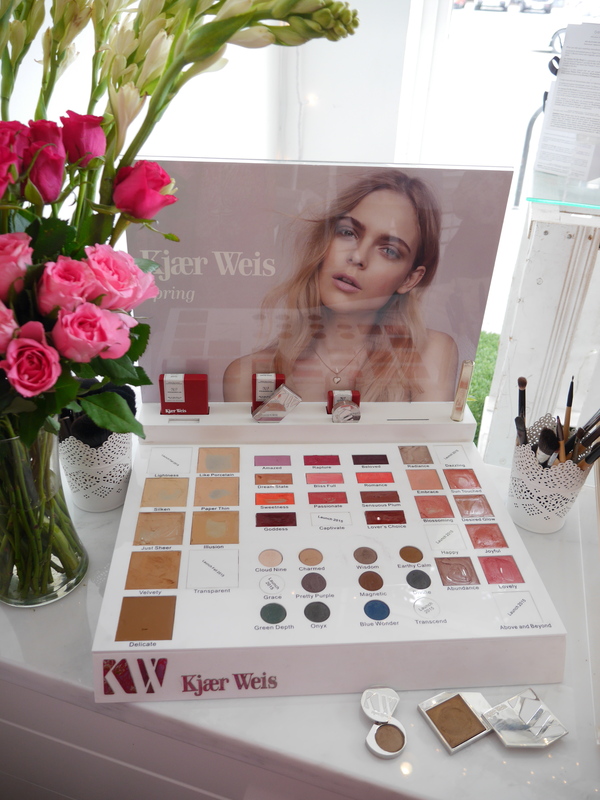 You can find Kjaer Weis products online at Beautylish, The Detox Market, and Spirit Beauty Lounge. The new products launch June 10th and the rest of the collection is available now. 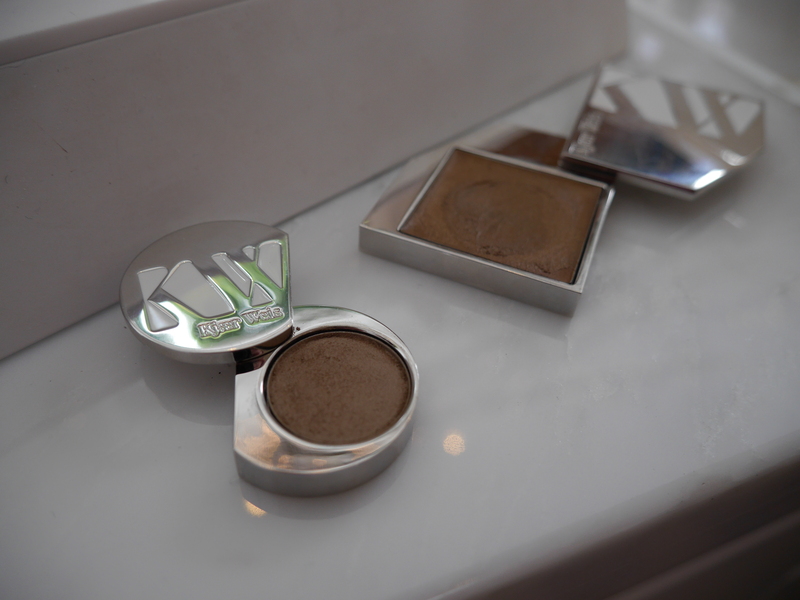 My obsession with Kjaer Wies has just begun. I will definitely be posting more swatches of some of the other products. 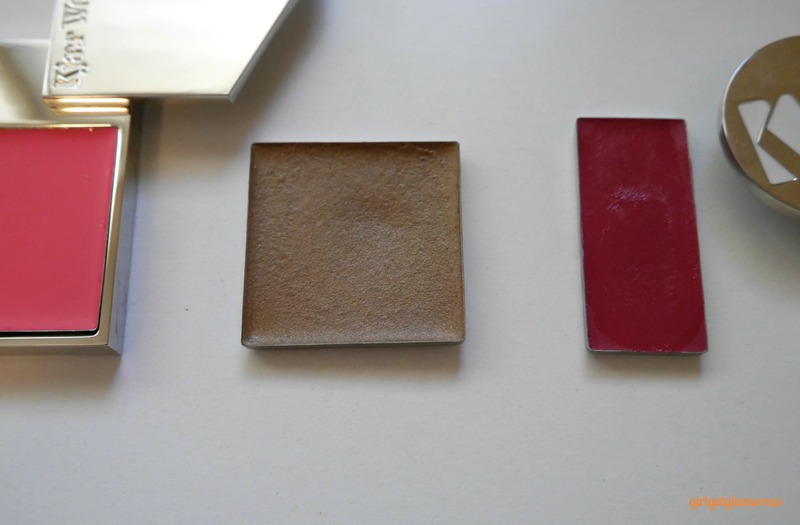 Have you heard of Kjaer Weis before or tried any of their products? Have you tried organic makeup or been interested in it? I’ve always been interested in it, but the products that worked always felt few and far between until discovering this brand. Let me know, I’d love to hear from you below! Thank you for reading and sharing! I see all the shares and it’s awesome, I so appreciate it! You can also follow me on Instagram @girlgetglamorous. 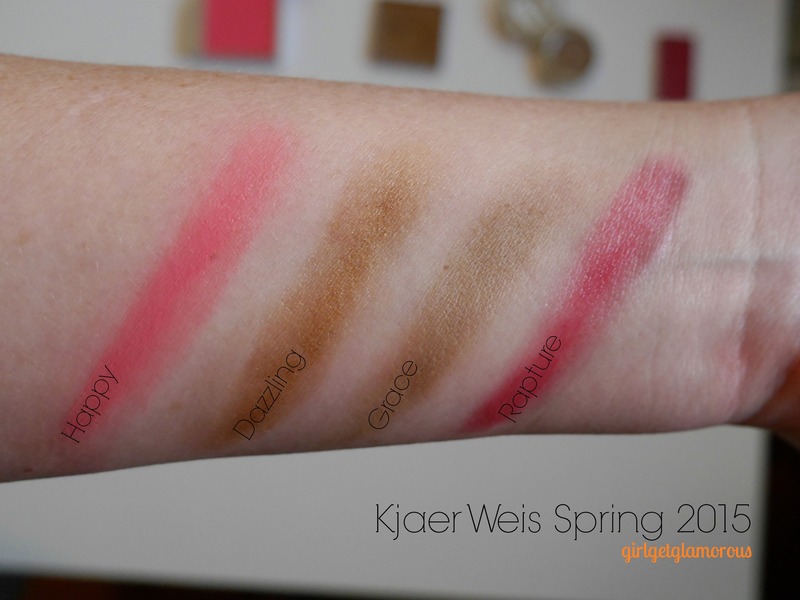 *Kjaer Weis provided me with these products, so I could test and swatch them for you for my unbiased review!